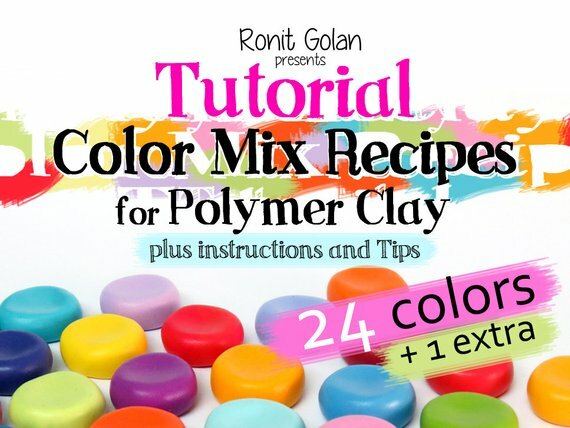 Israeli polymer clay designer, Ronit Golan, has an extensive background in the fashion design. 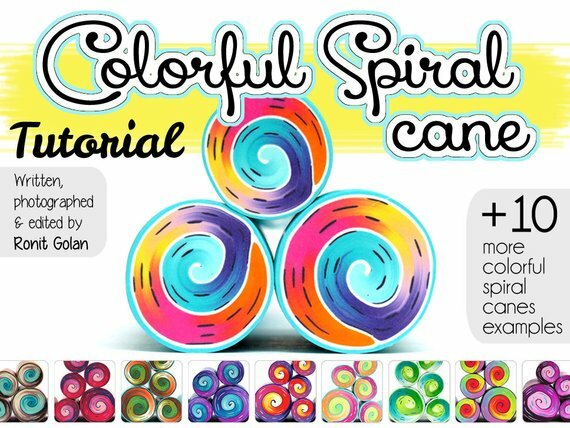 With her artistic talent, it is not surprising to learn she branched into graphic design and by 2005, she was into making polymer clay jewelry. Ronit says, "My true love is COLOR and basically everything inspires me. Also my past in fashion, love for fabric and prints influences me a lot and you can see that in my products." 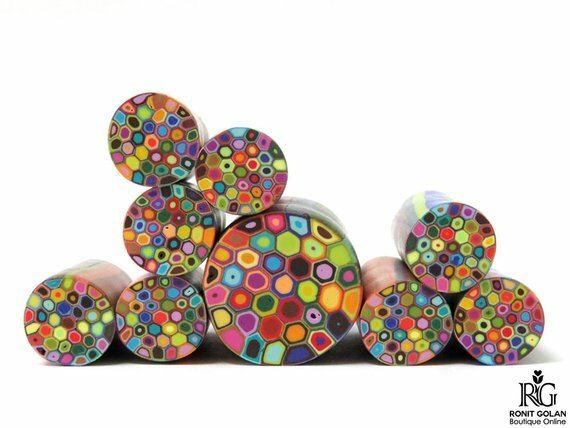 Her innate sense of color is obvious in her millefiori cane designs. 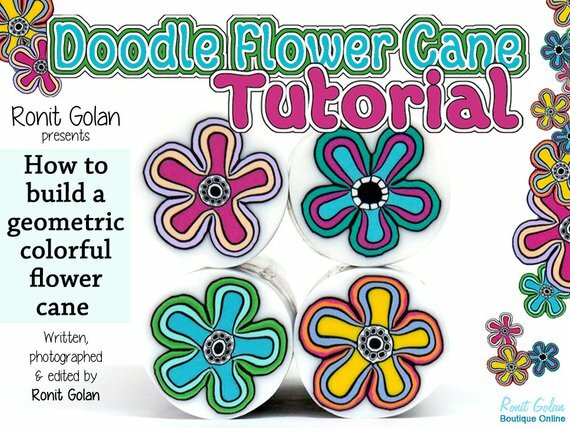 She does both modern geometric and floral designs. 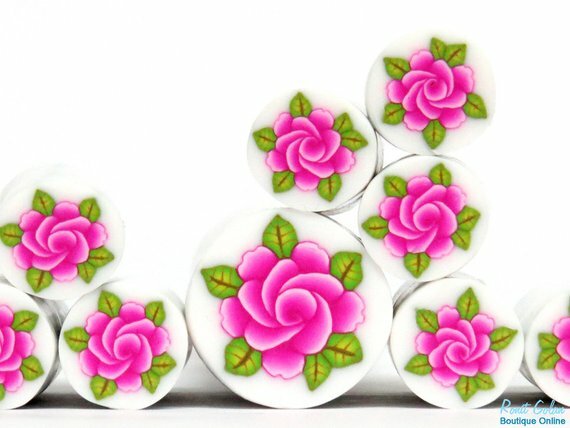 Her shop provides beautiful canes as well as the findings to make rings and things. 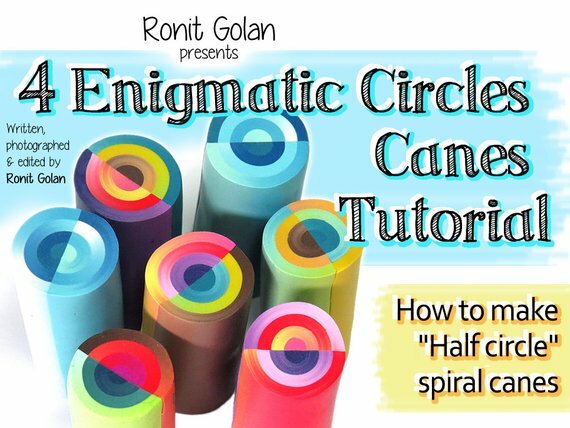 She is also a teacher and her tutorials show how to make colorful canes of your own! Ronit also writes a blog and is on Instagram. Tear Away Clay Technique Creates Delicate Textures! 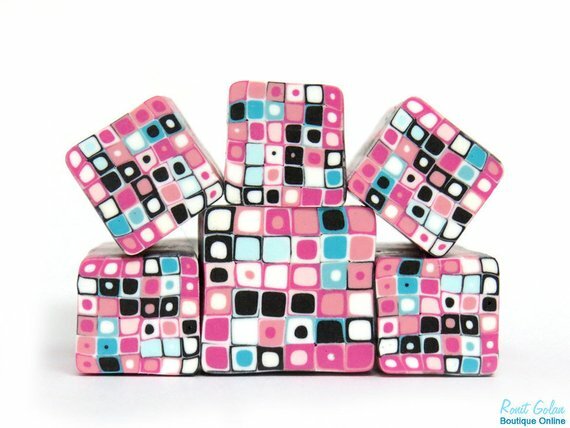 The versatility in polymer clay is absolutely endless - especially in the hands of an artist. 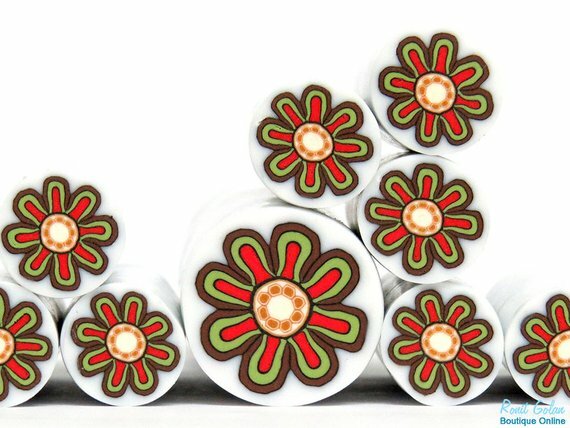 I've only made a few canes and they are fun but time consuming and do take quite a bit of clay. Ronit's designs are fabulous! I love all that colour!